The Divine Conspiracy has revolutionized how we think about the true meaning of discipleship. 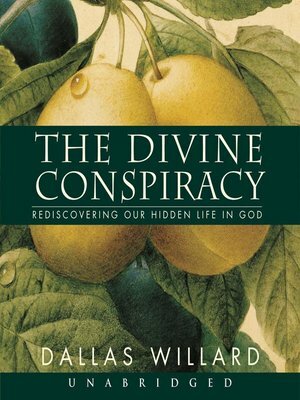 In this classic, one of the most brilliant Christian thinkers of our times and author of the acclaimed The Spirit of Disciplines, Dallas Willard, skillfully weaves together biblical teaching, popular culture, science, scholarship, and spiritual practice, revealing what it means to "apprentice" ourselves to Jesus. Using Jesus's Sermon of the Mount as his foundation, Willard masterfully explores life-changing ways to experience and be guided by God on a daily basis, resulting in a more authentic and dynamic faith.